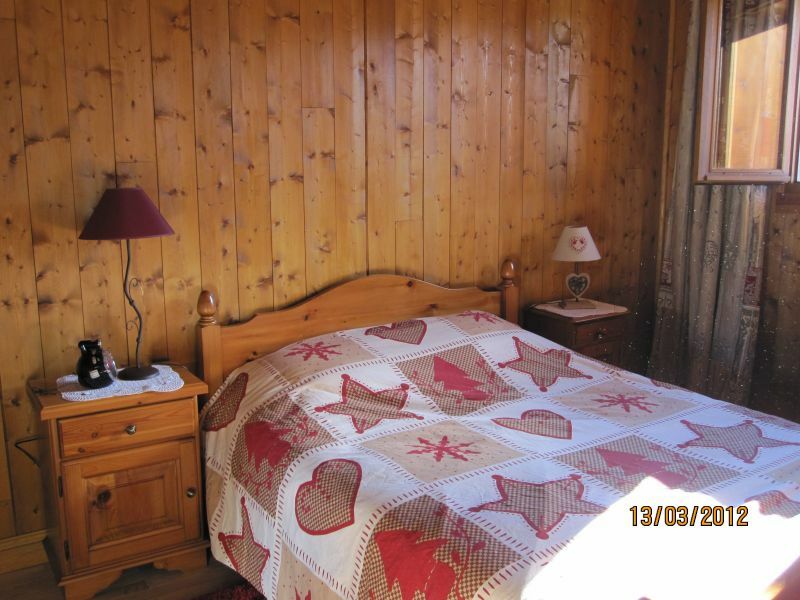 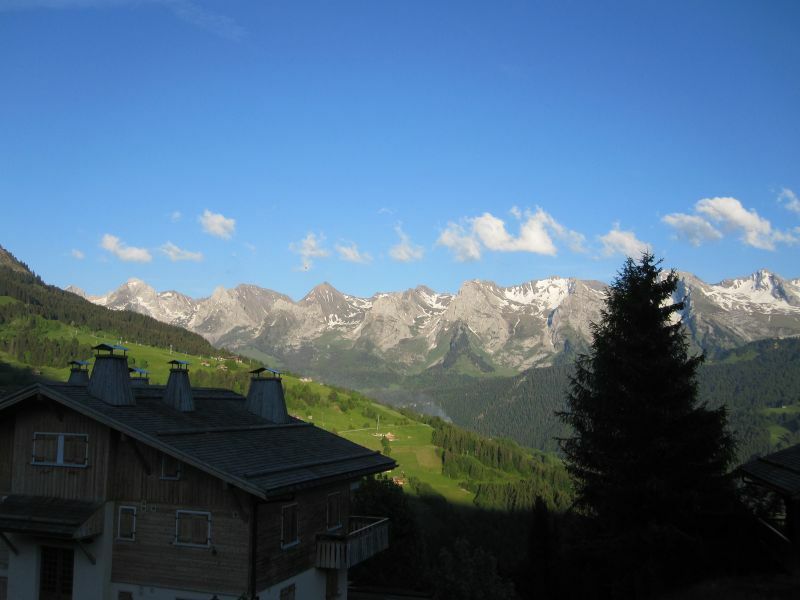 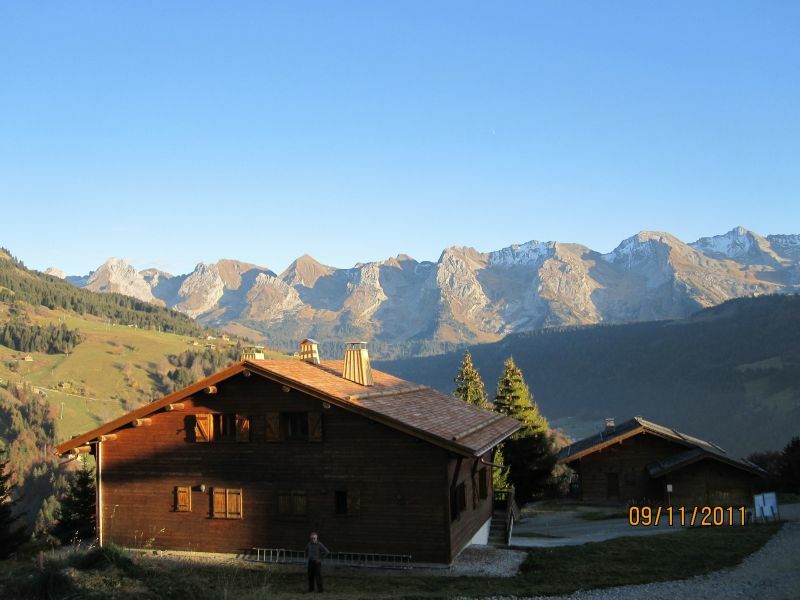 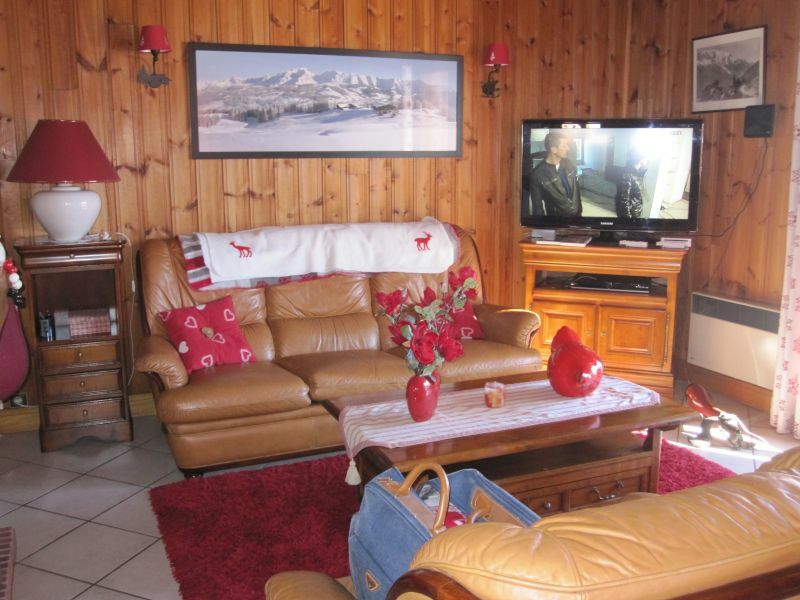 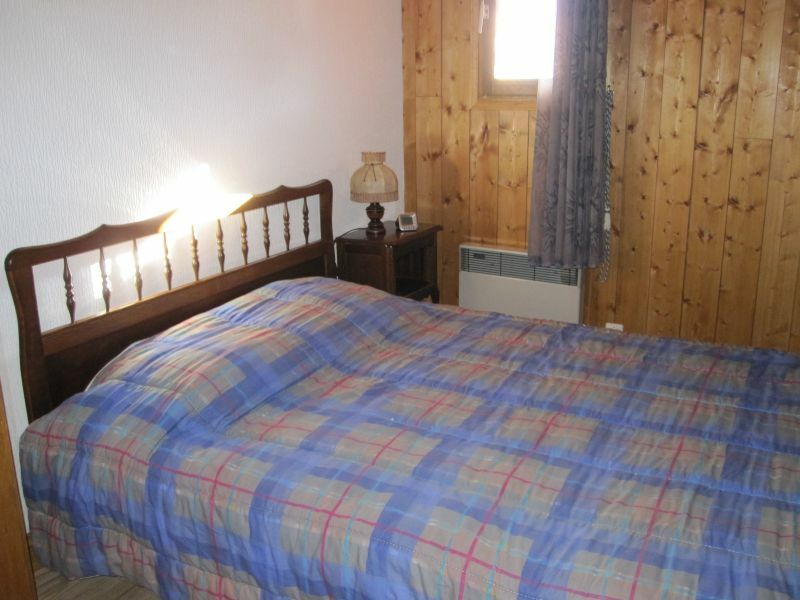 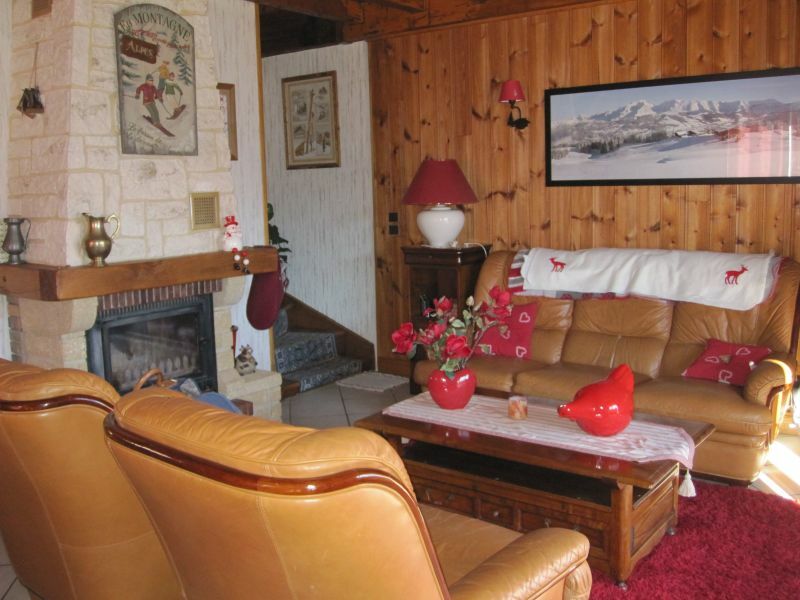 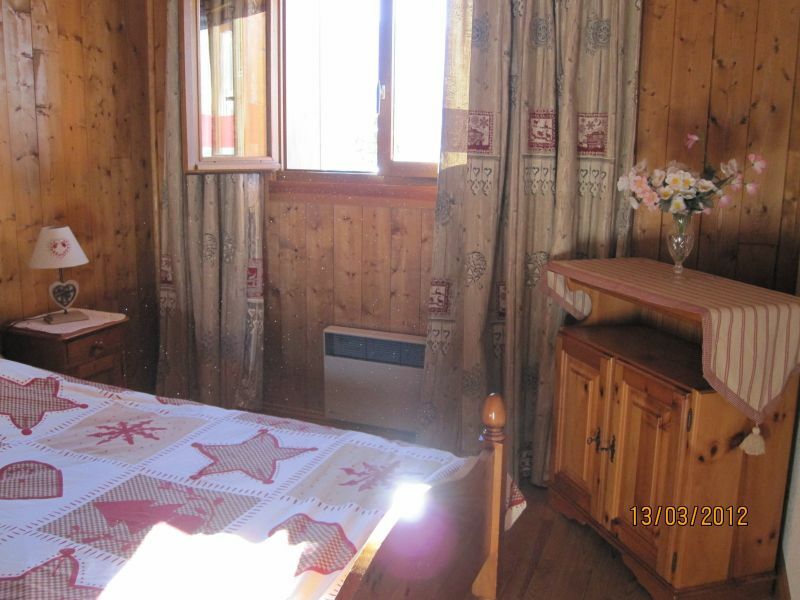 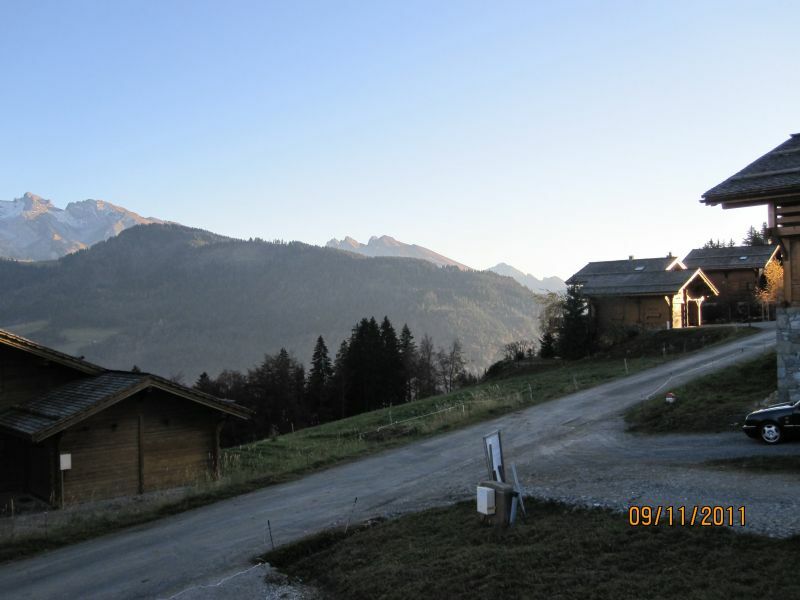 Semi-detached chalet for rent with superb views of the Aravis mountains, facing south. 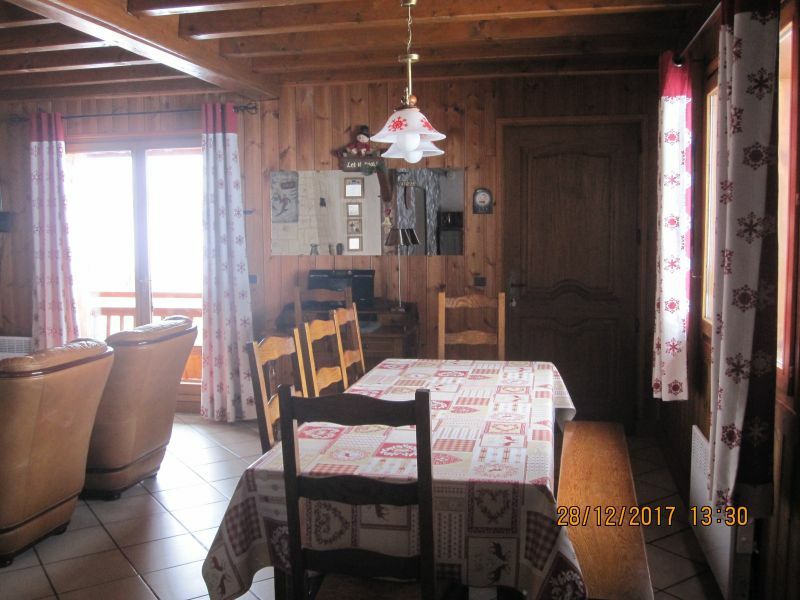 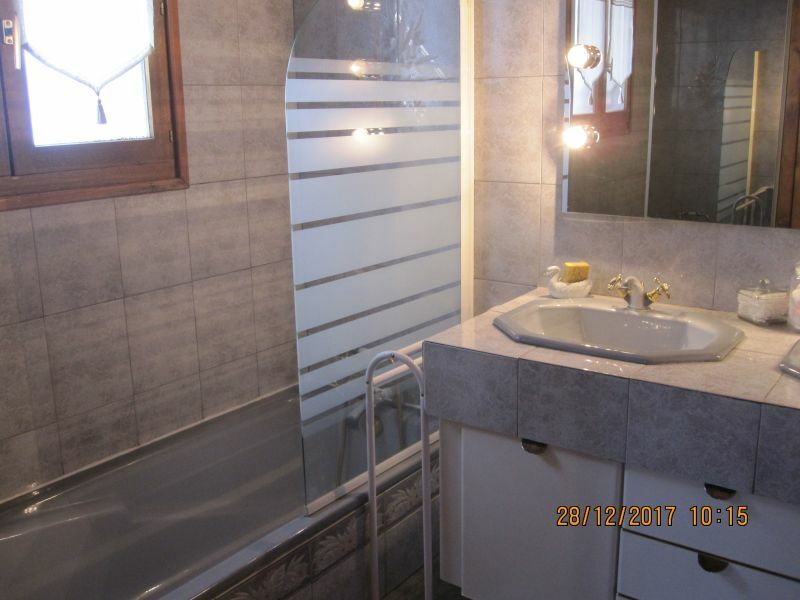 The cottage includes a basement with garage for a car plus a laundry room (washing machine, dryer, freezer, barbecue garden furniture, sunbath). 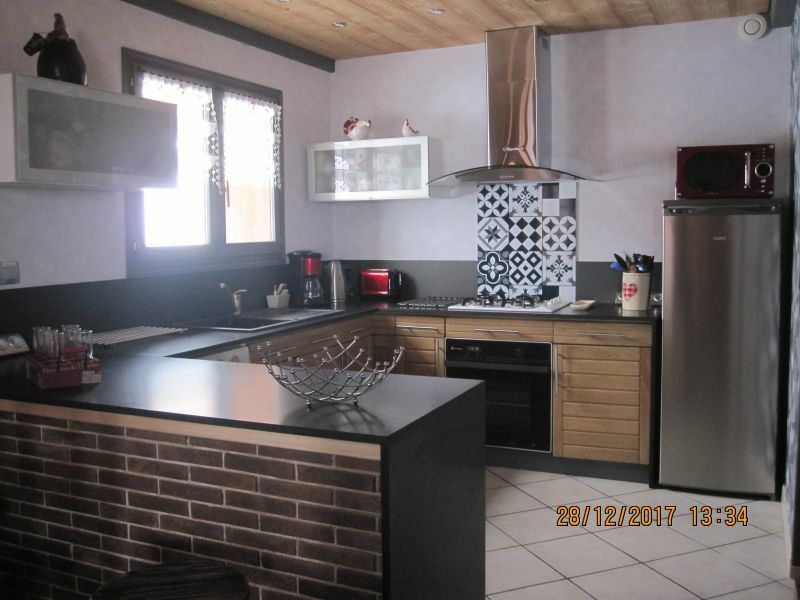 On the ground floor, there is an open kitchen (dishwasher, microwave, fridge, fondue and raclette, etc.). 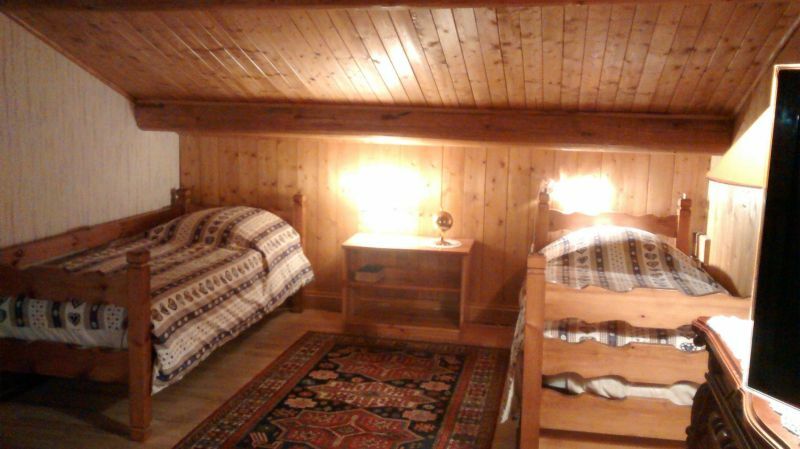 On the first floor, there are two rooms each with a large bed, a large mezzanine with two single beds. 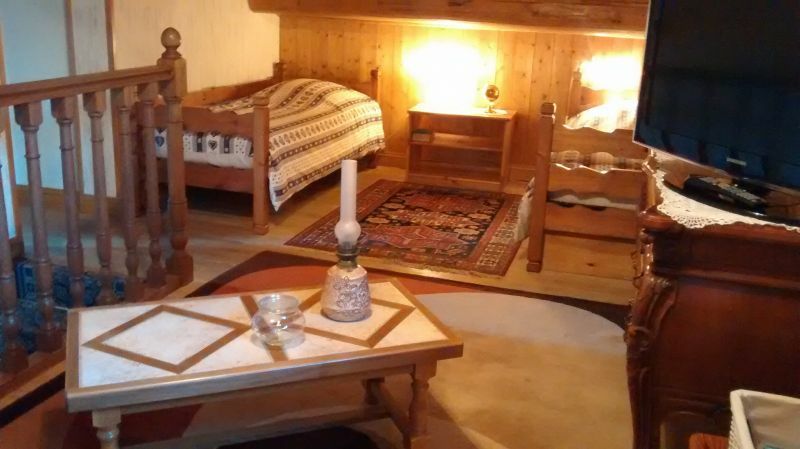 There is a cot and baby chair adapter available if needed. 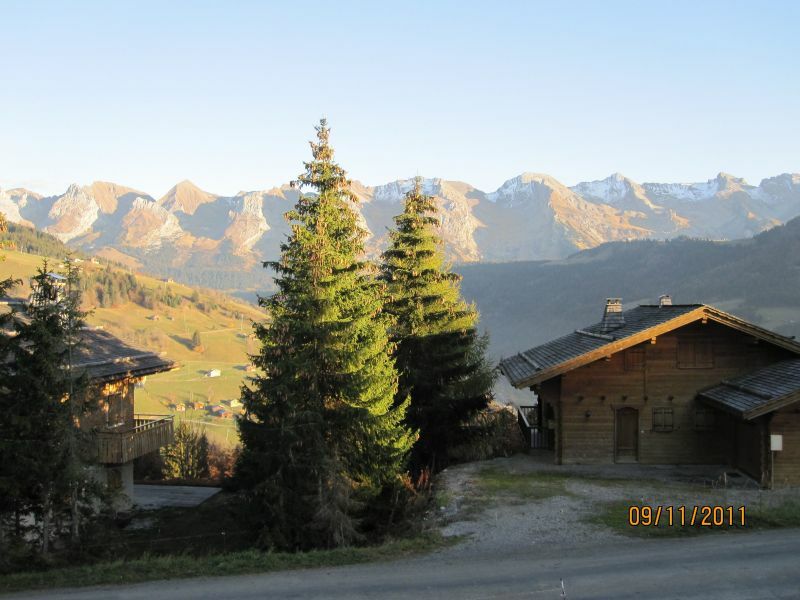 Private parking for two other vehicles in front of the chalet.